In the past, reminders could only be kicked off via custom server-side code in SharePoint Server on-premises, or using Azure web jobs. 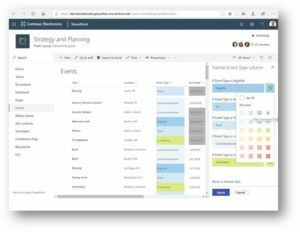 Now, using Microsoft Flow, items can be monitored behind the scenes and when a specific time hits, a Microsoft Flow job can be initiated, alerting the user to take action, or any other combination of actions Microsoft Flow supports in SharePoint Online or Office 365. 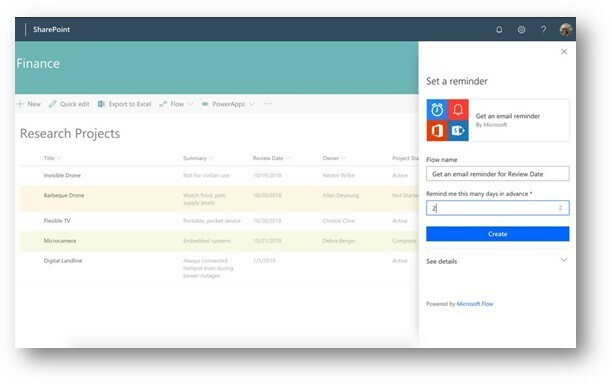 A lot of times we hear clients ask “We want to have list items with a date of when to alert the user with item details.” and our answer previously was “we had to use custom code”, but now Microsoft Flow can monitor items for when a time approaches, then take any number of actions. This is great for a follow-up date a user sets in a list item or help ticket for example. 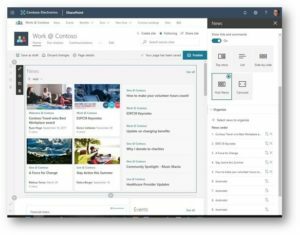 The modern experience List View web part now supports new templates, but still not the Tasks template. 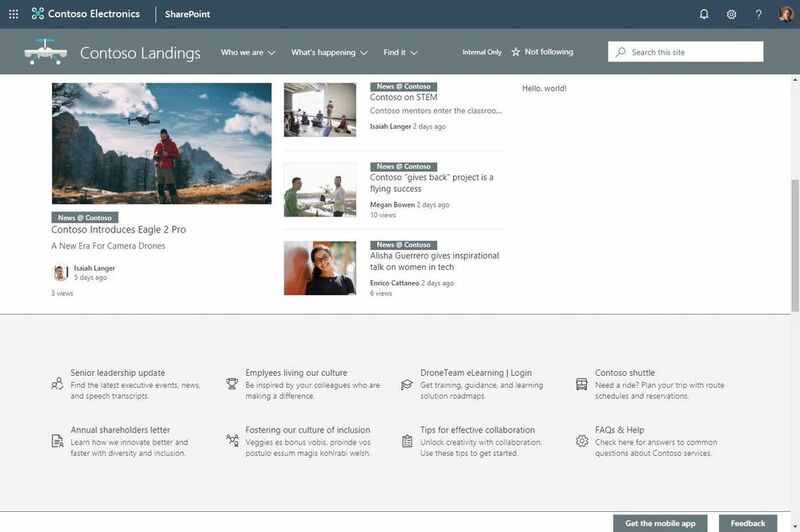 The Out of the Box (OOTB) List View web part in the modern pages now supports Announcements Lists, Promoted Links Lists, Contacts Lists, and Issue Tracking Lists. In the past our clients have asked “In SharePoint Server, we were able to use Promoted Link lists to create tiles. 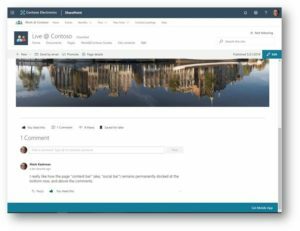 Can SharePoint Online List View web part support this?” and our answer previously was, “we had to use custom lists”, but now we can use a Promoted Links list. 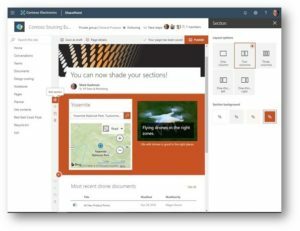 SharePoint Modern pages now support applying saved custom page designs. This allows you to set up a page for a client or project, then save that page as a template and apply it to new pages. Our clients would ask “How can we save a site or page as a template so we don’t have to keep creating the web parts on the pages each time?” and our answer previously was “we had to rely on the Save site as Template feature which is no longer supported.”. 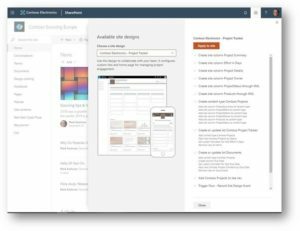 However, now we can use the new Apply Page Design feature to quickly deploy page templates. Lists other site settings can be saved into a site template via custom scripts and deployed via the web browser now as well. 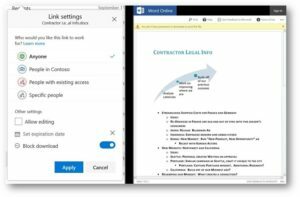 SharePoint Online link sharing now allows the Block Download option. This way, people can view/edit in browser (even anonymously with the link if allowed) but they cannot download a copy of the document. 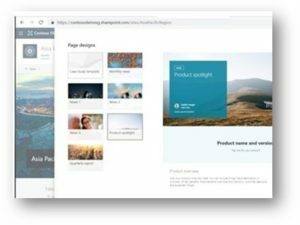 New custom header options for pages- set if there is a background image, or only a title. Add a dynamic list/library column to include geographic location, address, map and more, directly from Bing maps. 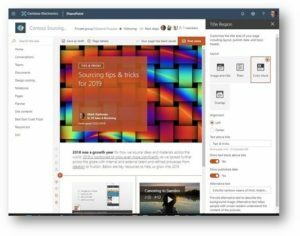 When you change the look of your site, you can now add a site footer to showcase common information you wish to highlight at the bottom of your site. 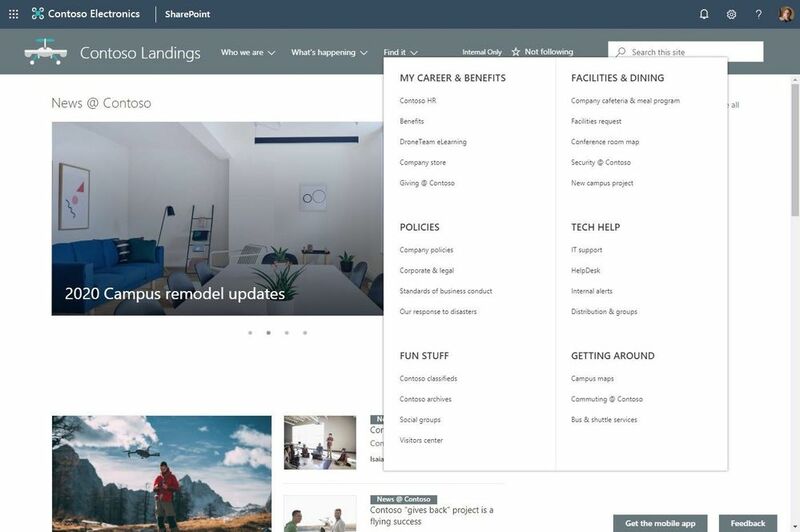 Note: configuring the footer is only available in pages and news articles in SharePoint communication sites. 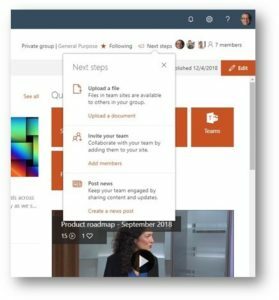 It will not be available on SharePoint lists or document libraries pages within these same communication sites, and it will not available in SharePoint team sites. You, too, will be able to turn off footers as well. 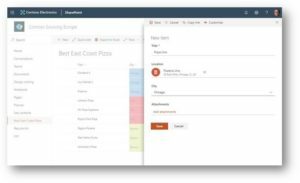 The following list templates now have modern User Interface (UI) support: Issue Tracking, Contacts, Custom List in Datasheet View New and existing lists created using one of these templates will now appear in modern UI by default. Additionally, the native UI now supports multi-line text fields with the “Append Changes to Existing Text” setting enabled. Lists that contain this field type will no longer fall back to classic mode to accommodate these fields.